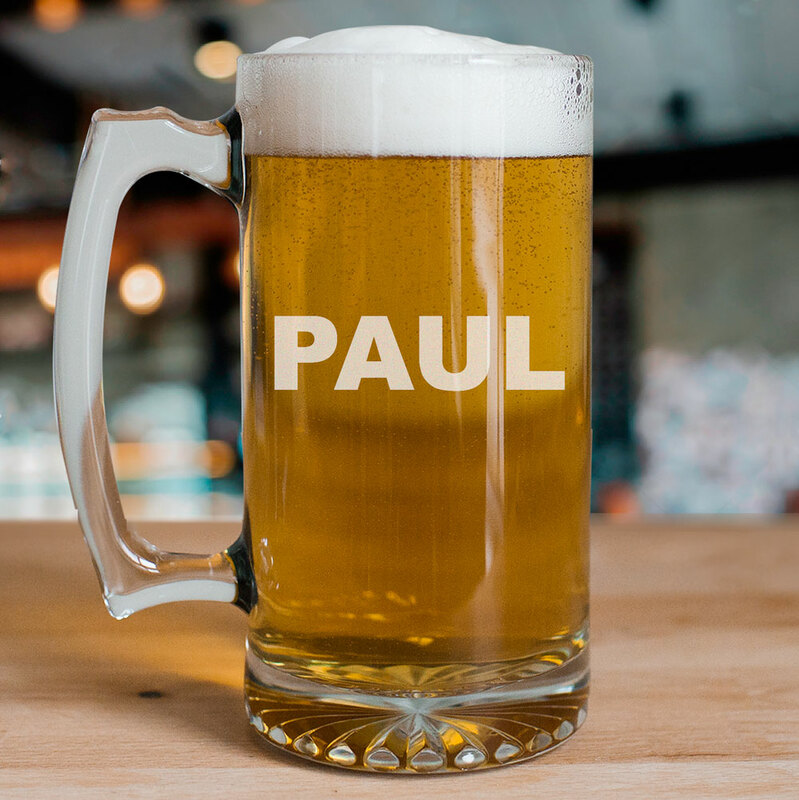 Let him sit back, relax, and enjoy his beer in style when you give him a personalized glass mug of his very own. One of these Personalized Gifts for Him will quickly become his favorite one to enjoy his favorite brews and beverages out of. Free personalization of any name is included with all Personalized Men Gifts.